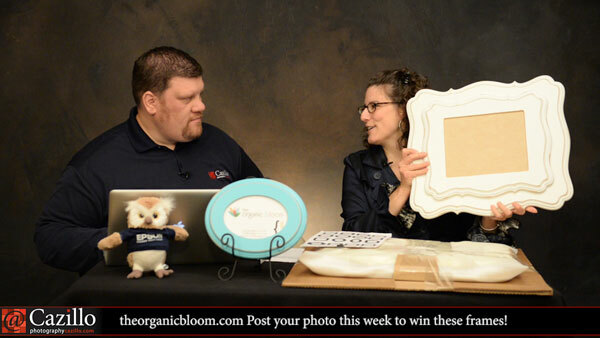 Win Organic Bloom Frames! Post (or repost) your images to Facebook.com/cazillophoto, tweet them to Greg @Cazillo with hashtag #KeepShooting or Google+ mentioning +GregoryCazillo and hashtag #KeepShooting to be eligible. Full contest details are below. Greg & Kathy answered a few questions about how they got started in photography and what the best methods are for exporting photos for prints. Keep shooting! I got started in photography in the 70's with a new Pentex ME 35mm. Progressed to medium format after photo classes and eventually to a Canon t5i with lenses and studio lights collected over the years. Looking at retirement and the excitement of possibly doing photog full time. How exciting is that?, maybe a chance to do something you really love and not having enough hours in a day to get to everything you want because you enjoy it so much.. Can't wait! My first camera was around the age of 8, it was a Kodak X-35 and it used the Magic Cubes for flash. Later I moved on to a Yashica MG-1, Canon AE-1 Program, Canon A2E, Elan 7e, 10D and 60D. I've always had a passion for capturing the moment. It makes me smile to see my children taking a interest in photography. I bought a van and a Canon AE-1 and traveled all over the country taking photos of the cool places I saw, like New York, New Orleans, Los Angles, San Francisco, and the Grand Canyon.